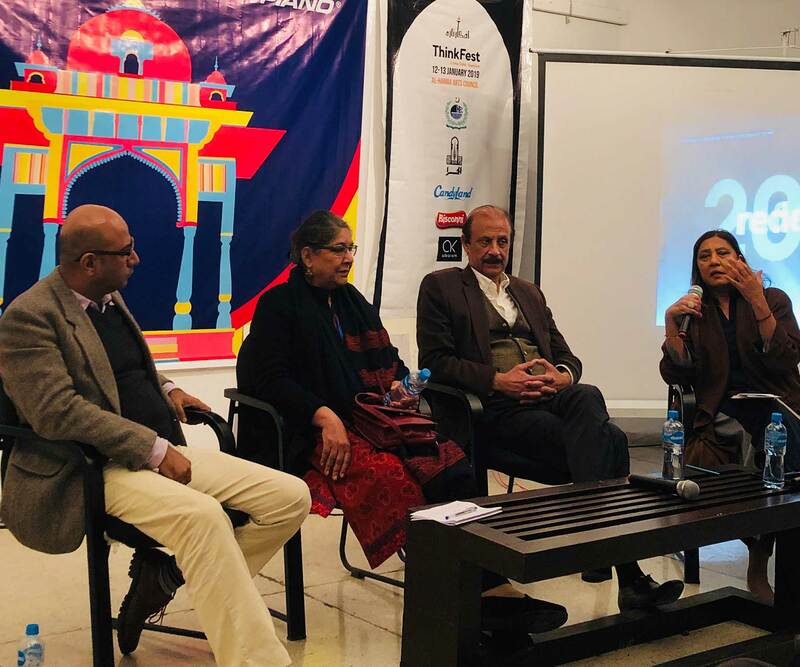 Afkar-e-Taza ThinkFest 2019 was held under the patronage of the Information Technology University (ITU) and the Punjab Centre for Governance & Policy. 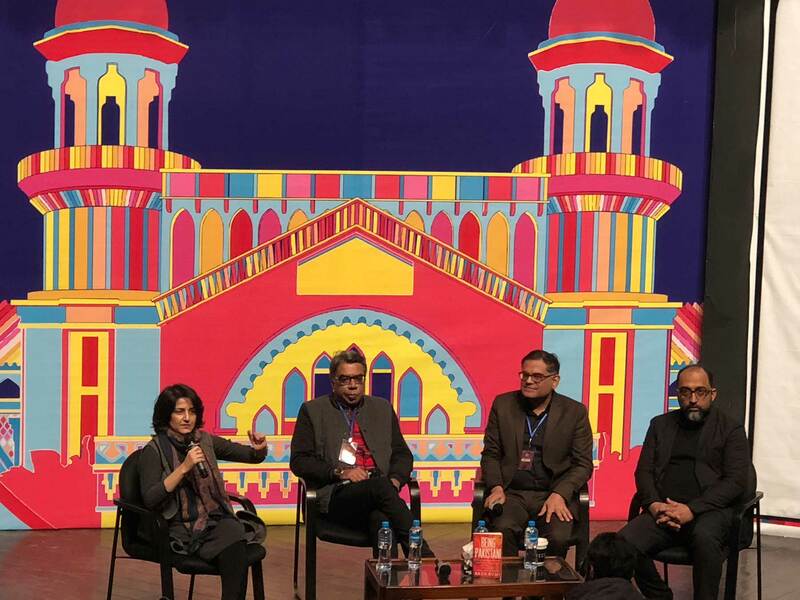 As with the last two years, the third edition of the festival included talks, speeches and discussions by international scholars, thinkers, policymakers and analysts congregating from around the world’s leading universities at a platform that was open and free for all. 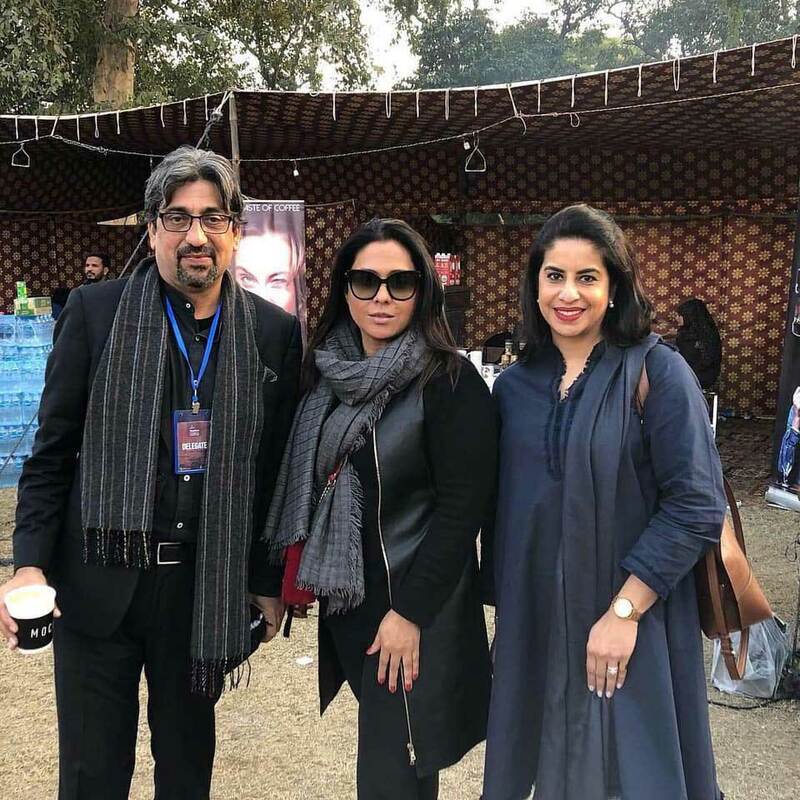 The #MeToo panel included Jamshed Kazi, Director of UN Women, Shaista Aziz from the Labour Party of UK and Marvia Malik, Pakistan’s first transgender news anchor, and was moderated by Aisha Sarwari of Women Advancement Hub. 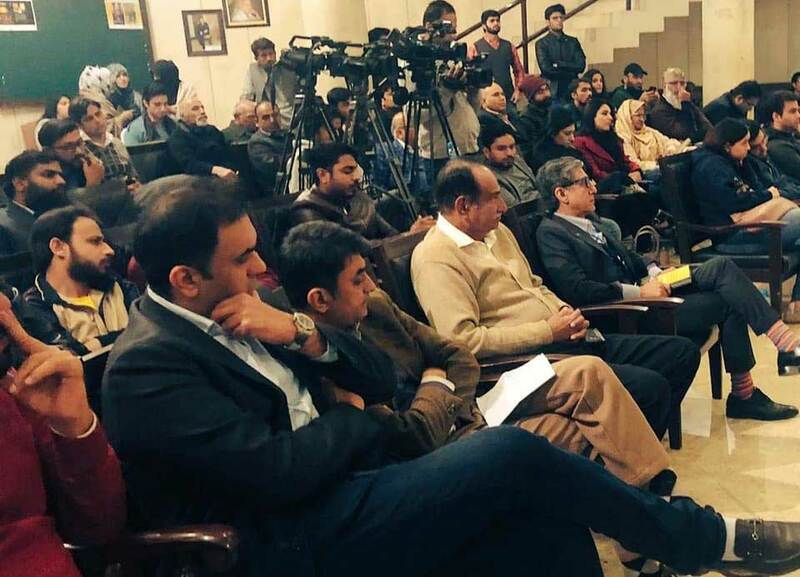 Aisha Sarwari started off the argument by remarking that women in our society who step forward after being sexually harassed are put down, humiliated and face bitter consequences due to speaking out. On the other hand, men who are accused of sexual harassment don’t suffer the way they should and are accepted socially, while some are even glorified. Shaista Aziz spoke about her personal experiences from the UK, where she herself has been a victim of hate and Islamophobia as she dons the hijab. 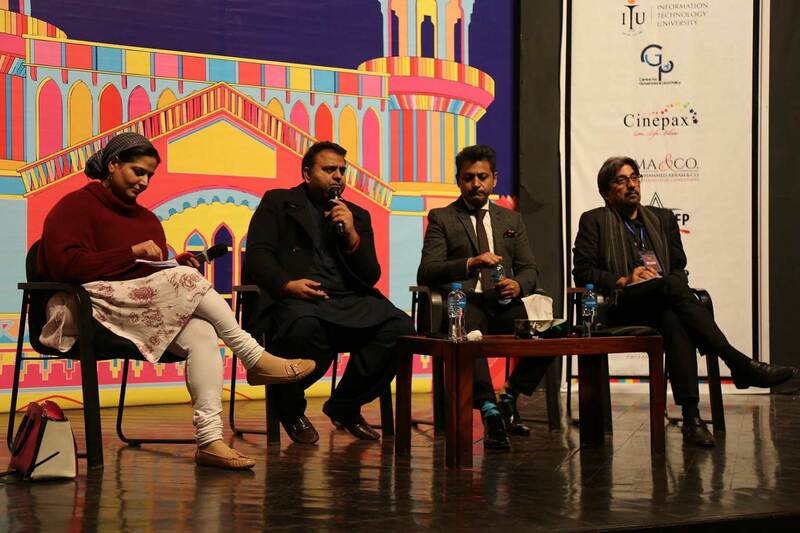 Jamshed Kazi spoke about Jahez Khori, a recent viral social media campaign by the UN against the concept of dowry. 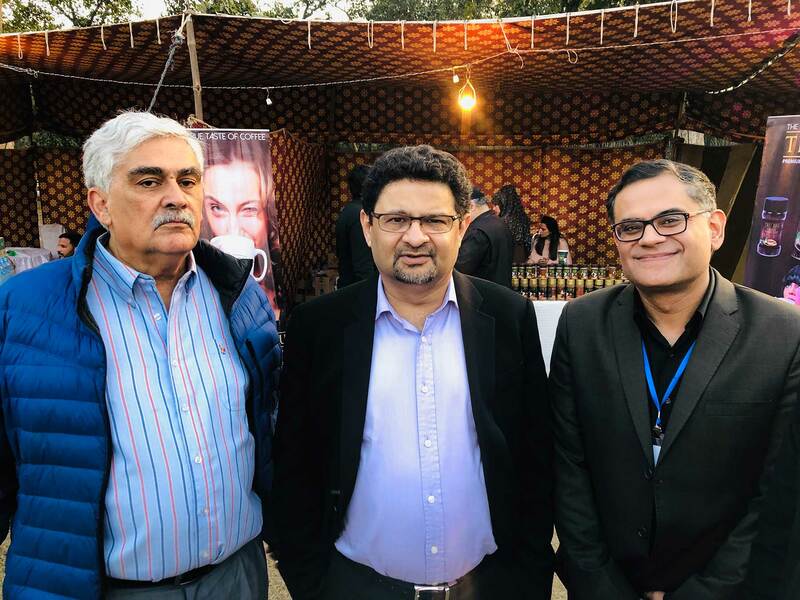 The campaign, he pointed out, is a portrayal of the greed prevalent in our society, as some families in Pakistan invest in dowry rather than investing in their daughter’s education hence lowering their status. 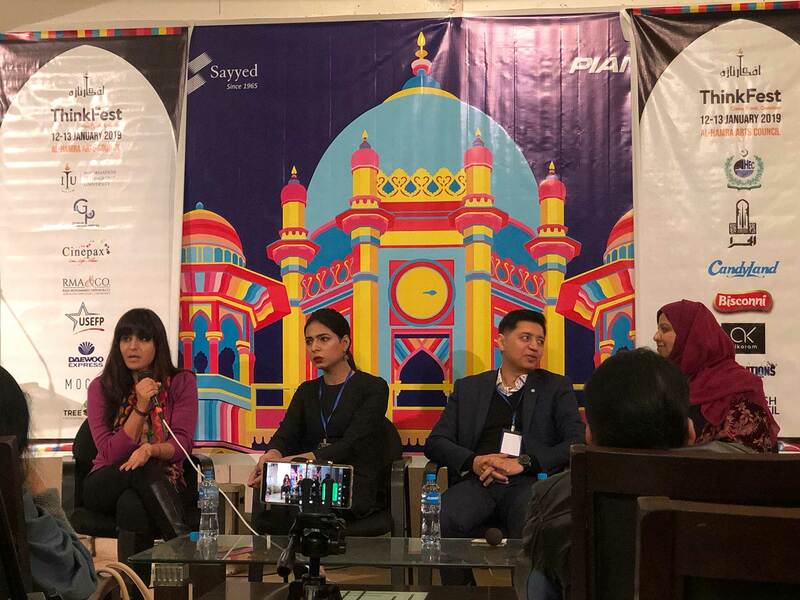 Marvia Malik talked about the transgender community and the abuse they suffered in their everyday lives and how, despite the #MeToo movement, trans-genders remain aliens to the society. 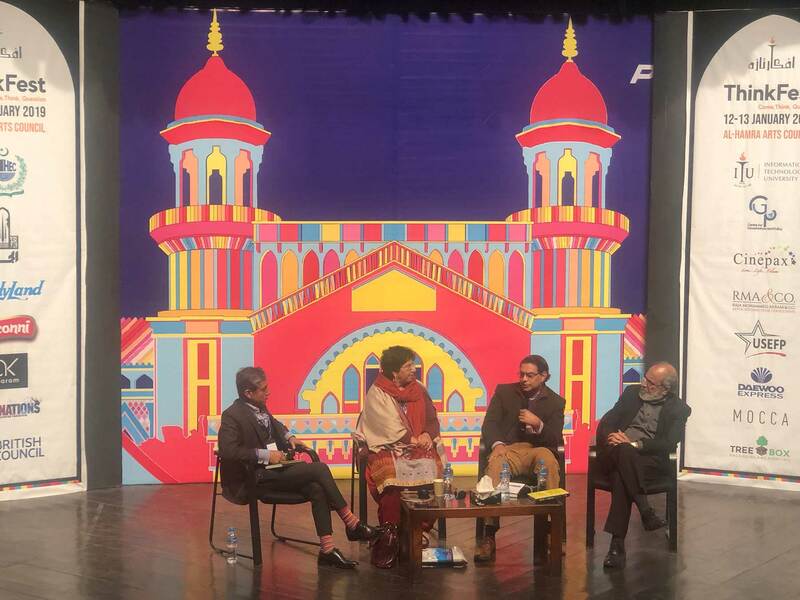 The session on journalist Raza Rumi’s latest book, Being Pakistani, proved to be popular amongst the audience with a panel that included the author himself along with Mosharraf Zaidi and Nadeem Farooq Paracha, and moderated by Sabahat Zakariya. Nadhra Khan’s book on the samadhi of Maharaja Ranjit Singh, who governed Punjab for decades, was discussed in one of the panels. 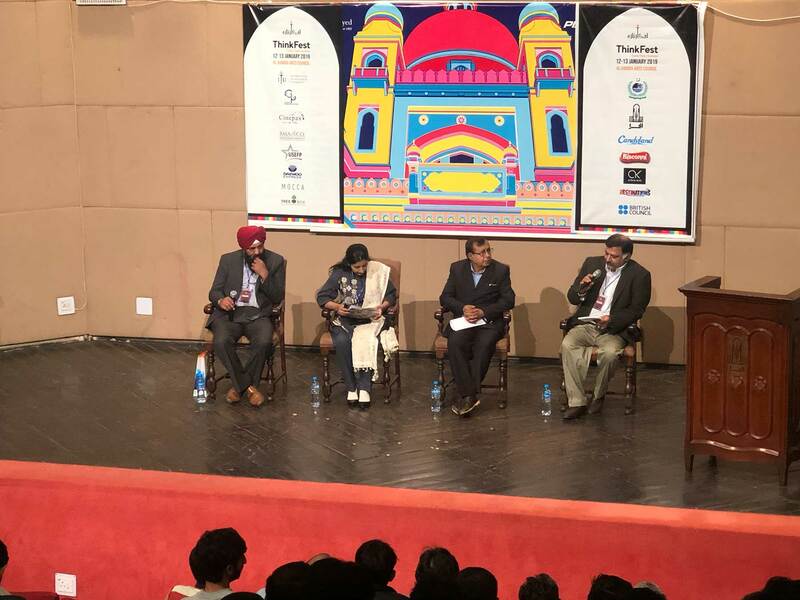 Khan talked about how Sikh architecture was prevalent in Pakistan, particularly in Punjab, but unfortunately it had never received the attention it deserved. 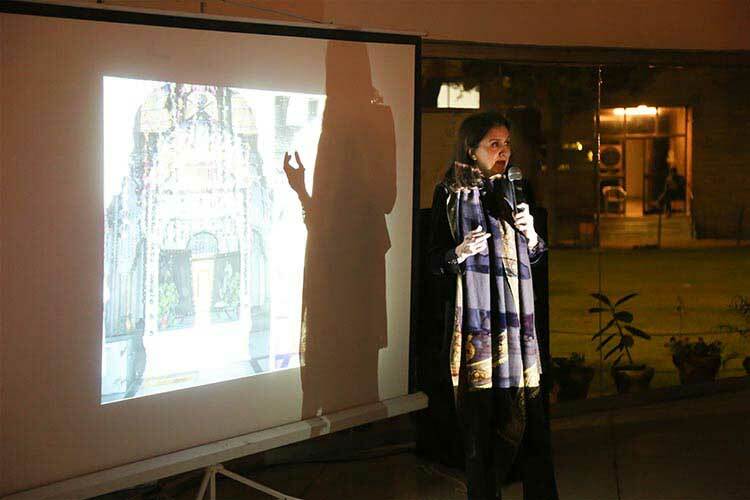 Her slideshow showed the intricate designs and architecture of the samadhi, located right next to Badshahi Mosque and Lahore Fort, where River Ravi once used to flow through. 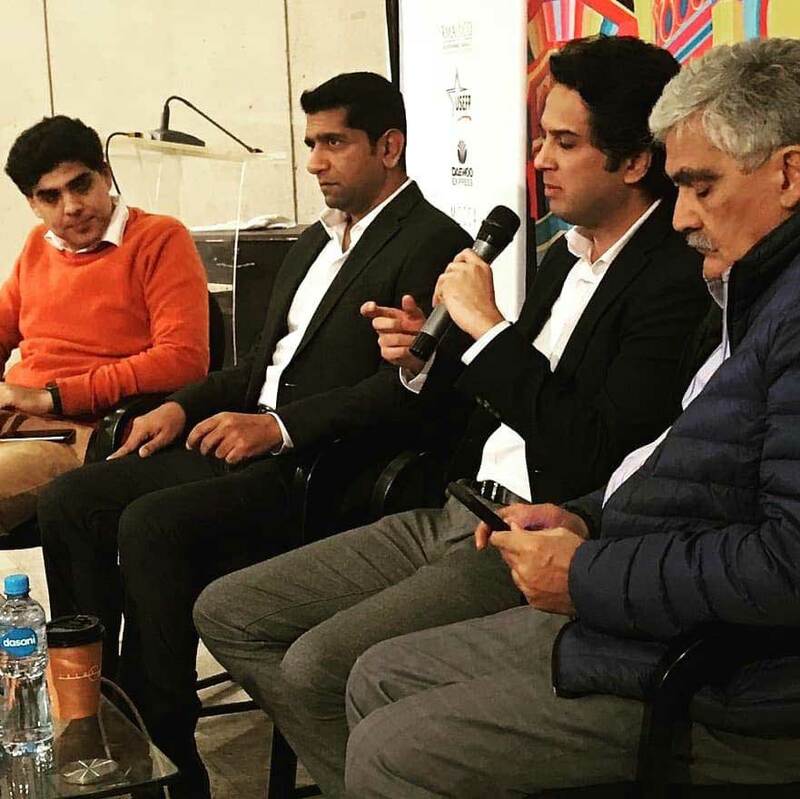 Does Pakistan need a new media model? 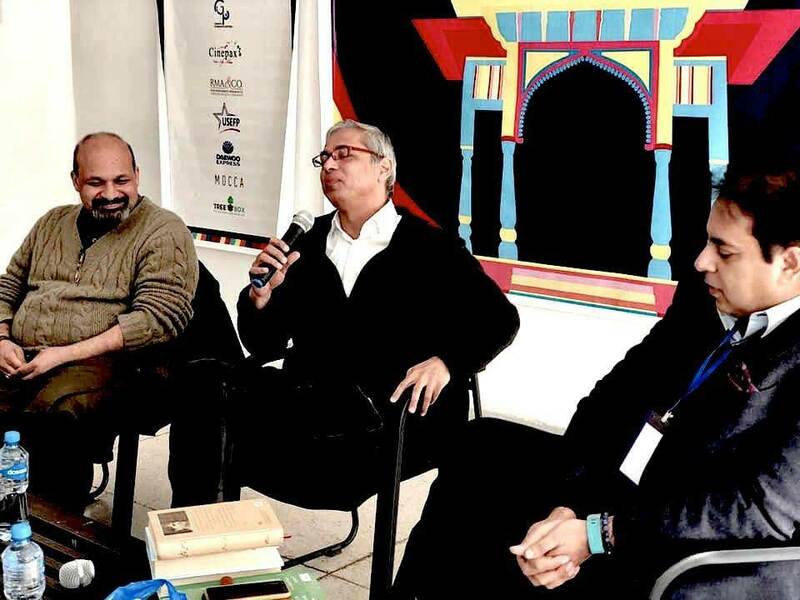 Several book launches as well as book review sessions took place at this year’s Afkar-e-Taza. An entirely original account of Victoria’s relationship with the Raj, which shows how India was central to the Victorian monarchy from as early as 1837. 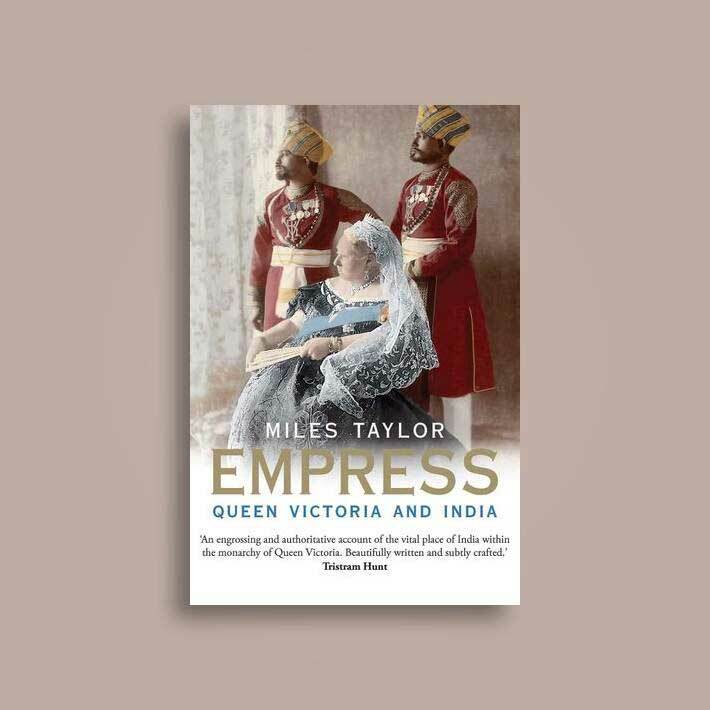 In this engaging and controversial book, Miles Taylor shows how both Victoria and Albert were spellbound by India, and argues that the Queen was humanely, intelligently, and passionately involved with the country throughout her reign and not just in the last decades. Taylor also reveals the way in which Victoria’s influence as empress contributed significantly to India’s modernization, both political and economic. This is, in a number of respects, a fresh account of imperial rule in India, suggesting that it was one of Victoria’s successes. This is the story of a man whose memory continues to divide opinion today. Was Wajid Ali Shah, as the British believed, a debauched ruler who spent his time with fiddlers, eunuchs and fairies, when he should have been running his kingdom? Or, as a few Indians remember him, a talented poet whose songs are still sung today and who was robbed of his throne by the English East India Company? Somewhere between these two extremes lies a gifted but difficult, character, a man who married more women than there are days in the year, who directed theatrical extravaganzas that took over a month to perform and who built a fairytale palace in Lucknow, which was inhabited for less than a decade. He remained a constant thorn in the side of the ruling British government with his extravagance, his menagerie and his wives. Even so, there was something rather heroic about a man who refused to bow to changing times and who single-handedly endeavoured to preserve the etiquette and customs of the great Mughals well into the period of the British Raj. 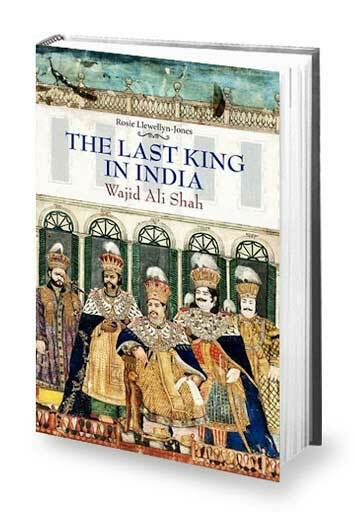 India’s last king Wajid Ali Shah was written out of the history books when Awadh was annexed by the Company in February 1856. After long years of painstaking research, noted historian Rosie Llewellyn-Jones revives his memory and returns him his rightful place as one of India’s last great rulers. Aydins upends the common view that the West and Islam are unavoidably in conflict in this crisp history of modern Islamic international relations. When President Barack Obama visited Cairo in 2009 to deliver an address to Muslims worldwide, he followed in the footsteps of countless politicians who have taken the existence of a unified global Muslim community for granted. 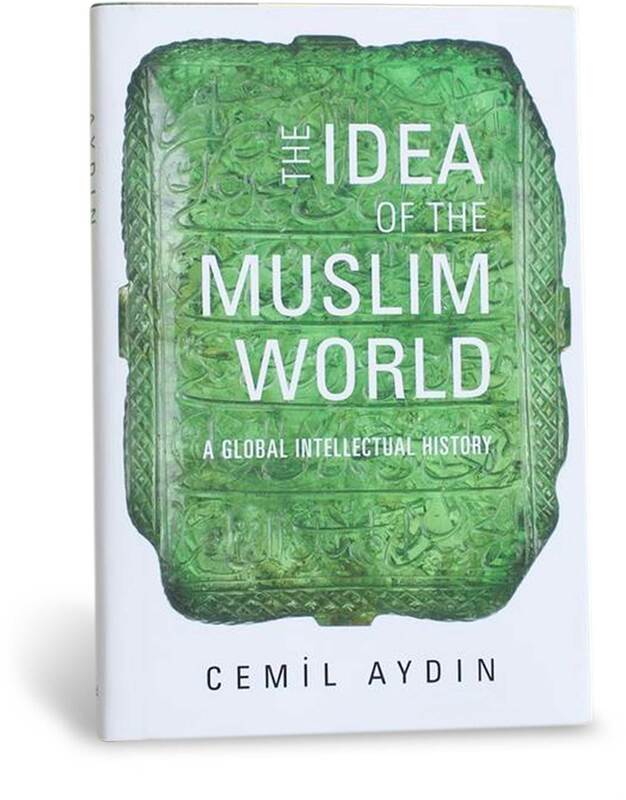 But as Cemil Aydin explains in this provocative history, it is a misconception to think that the world’s 1.5 billion Muslims constitute a single religio-political entity. How did this belief arise, and why is it so widespread? 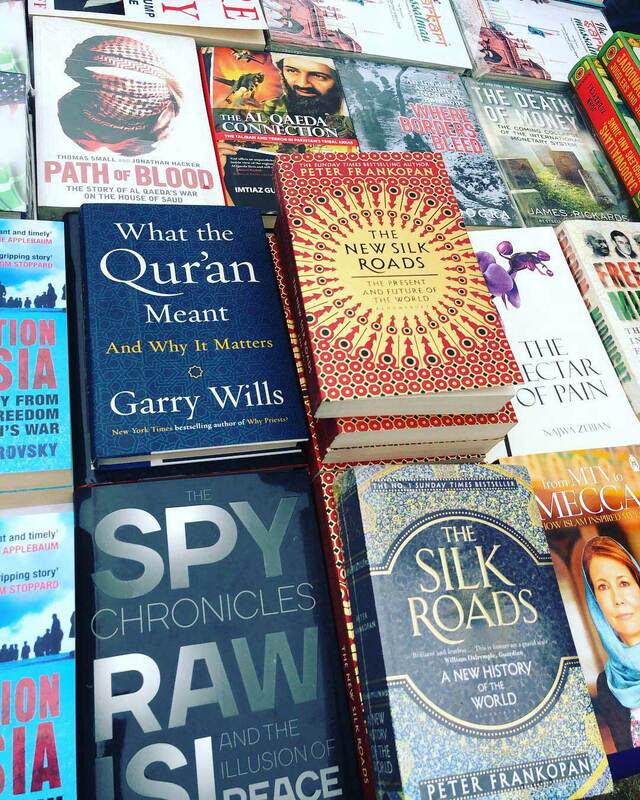 The Idea of the Muslim World searches for the intellectual origins of a mistaken notion and explains its enduring allure for non-Muslims and Muslims alike. 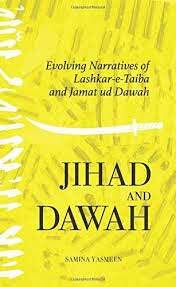 This book provides a detailed account of the emergence and metamorphoses of Lashkar-e-Taiba (LeT) and its political arm, Jamatud Dawah, since the early 1990s. Linking the group’s narratives to the process of Islamization in Pakistan and divergent views on the country’s Islamic identity, it is the first systematic analysis of how the organization, globally reviled as the perpetrator of the 2008 Mumbai Bombings, has developed its conception of da’wah (proselytizing) and jihad in response to regional and global developments. Aafreen Qayum Khan: Assistant-editor at Destinations Aafreen has recently graduated with a Bachelor of Arts from King's College London. She has grown up in Singapore but also lived in Lahore, Islamabad and Karachi and has a passion for anthropology, global health, equal rights, fashion and lifestyle blogging. An enthusiastic traveller who has been living life out of a suitcase and a passion to help the needy – Aafreen has travelled to countries like India, Cambodia, Vietnam and Northern Thailand with different charitable organizations to teach/help children in need.